The internet has greatly changed how everyday consumers conduct business. Fewer people are going to brick and mortar stores, and more individuals are purchasing items online. 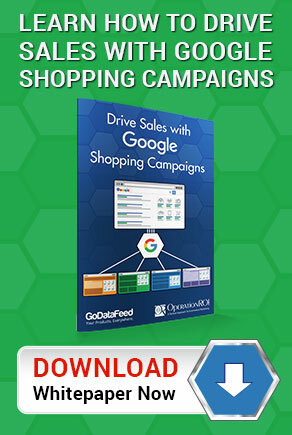 According to data published by comScore, 51 percent of all purchases were made online as of 2016. This means half of all purchases are being done through computers and laptops. Mobile capabilities are becoming increasingly important as the use of mobile devices for purchasing has increased by 77 percent over the last few years. A significant change is occurring, and all business owners need to stay ahead of the pack to remain profitable. The top destinations for making purchases online have now become marketplaces like Amazon and Walmart. 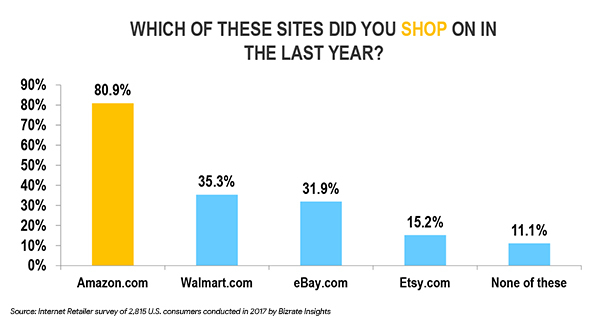 Marketplaces, such as Amazon, Walmart, Etsy and eBay, are sites that host an expansive array of products from numerous sellers. The main benefit these marketplaces receive is that they earn a commission on each product purchased. They earn a lot of money by simply acting as a middleman between the consumer and the seller. Marketplaces are also advantageous for customers because they do not have to walk away unsatisfied. Instead of being stuck with what a physical store has in stock, consumers can browse through a ton of options from the comfort of their homes. Knowing that marketplaces are essentially one-stop shops for all of a person’s needs creates a lot of loyalty. Marketplaces also allow people to buy products that may otherwise be inaccessible in their physical location. An individual may be nowhere near a luxury watch store, but with the advent of the online marketplaces, that person does not have to go anywhere. Like many other things in modern society, Millennials are changing the way companies conduct business. This generation has led the charge for having more products available online and encouraging retailers to start utilizing online marketplaces to be more accessible. Not only has the internet made it easier to acquire products, but it also allows consumers to research companies online before deciding to do business with them. It also allows consumers to purchase products that would otherwise only be available overseas. Brand image is everything these days. A company that does not have any type of presence on online marketplaces might as well not even exist to a significant portion of the population. This means that at least some of a company’s offerings have to be available online. It also means companies need to maintain a constant social media presence. Accessibility has been mentioned several times previously, but it is worth bringing up again. People want convenience, and being able to purchase everything from clothing to electronics online negates a lot of the reasoning for visiting a brick and mortar shop, especially if the online marketplace offers special perks. What Do Consumers Look For In Online Marketplaces? People still visit physical stores, and there are a few ways online marketplaces have attempted to lure consumers back. One common downside to shopping online is the shipping fee. A consumer who is already spending a lot of money to acquire money may have to spend even more to get it upon checking out. This could incentivize certain people to simply buy an item in the real world. However, online marketplaces have been combating this issue by occasionally offering free shipping, usually when a purchase exceeds a certain value. In the 1990s and early 2000s, eBay ruled the online marketplace. These days, you will find plenty of avenues to purchase products online, including Amazon, which is quickly becoming a juggernaut. Regardless of what a business sells, whether it is affordable knick-knacks or luxury items, an online presence is essential. Luxury companies, in particular, have been hesitant about making the change to selling a sizable portion of inventory online. As technology advances, there is no escaping the impact of online marketplaces. Business owners from all industries need to adapt to continue getting a steady stream of revenue. Businesses have always needed to adapt to acclimate to the times, and the current transition the business world is experiencing now is no exception. In contrast to shopping networks like Google, Bing or Connexity, marketplaces like Amazon require more knowledge, involvement, and time to be successful. Listing products is only the beginning, and if not completed correctly it may limit your visibility. Still unsure about the best marketplace strategy for your business or not sure what marketplace is right for your business? At OperationROI, we understand all of the complexities that are involved in maintaining and marketing a successful marketplace account. Whether Amazon, Walmart, eBay or others, our expert marketplace teams understand what it takes to sell successfully on these marketplaces. To learn more about how OperationROI helps our clients sell more on marketplaces, call us at 1-888-277-5429, or by filling out our contact form. Need Help Selling on Marketplaces? Contact Us Today!